As Sr. Vice President of Business Development for the AEC Division of Advanced Solutions, Jamie Chevalier oversees and provides hands-on leadership to the company’s AEC sales team. 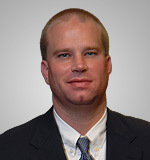 Jamie brings more than 11 years experience in sales and account management to the ASI Management team. Prior to joining Advanced Solutions, Jamie served as Vice President of AEC CADCON, which was acquired by Advanced Solutions. At AEC CADCON, he was actively involved with strategic partnerships with Autodesk and Bentley Systems and help build AEC CADCON into the premiere AEC focused solutions provider in the Midwest. Jamie has a B.S. in Landscape Architecture from The Ohio State University.